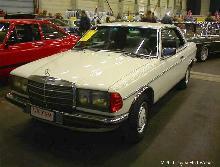 Mercedes its graceful 250CE/280CE coupes with equally attractive 230C and 280CE models in 1977. 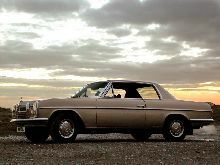 Both cars were based on a shortened W123 saloon platform and shared a common coupe body which looked very elegant and understated. 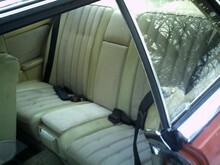 Once again the side-windows had pillar-less glass and there was plenty of room (by coupe standards) for three rear passengers. 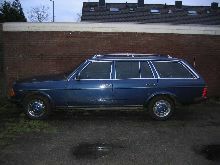 The 230C used a 2307cc, four cylinder engine which produced around 109bhp. 280CE Coupes had a 2746cc straight six engine which produced an impressive 125mph top-speed. 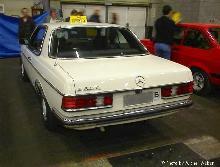 The 230C Coupe was only sold in the UK from 1977-1980 and provided the entry model to this two car range, the 280CE continued to sell in the UK until 1985.